Effectively dealing with the problem of municipal sold waste, in particular the problem of insufficient fund and slow investment in the construction of waste disposal facilities, requires the following reforms: the investment and financing in the municipal solid waste disposal facilities; the management mode in market-oriented and enterprise way . The administration department of government generally transforms from the construction and management of living garbage disposal facilities to supervise the plan and working of living disposal facilities, and formulates corresponding standards of subsidy and cost. The enterprises can choose financing channels to invest projects according to the standards set by government. In this way, it not only relieves the investment stress of government, but also enriches the economic strength in the sanitation and environmental protection industry through positive development of capital rolling, and gradually forms the good pattern of the base on burning power generation and comprehensively using resources to promote sustained, rapid and health development of municipal solid waste disposal. Because of the complex ingredients of living garbage, we can’t take one way for a city to solve all the problems about garbage disposal. The municipal solid waste management plant manufacturers must adopt a comprehensive management mode that focuses on one way with the other ways for supplement. At present, landfill is a universal garbage disposal way in most countries in the world, and it is also an indispensable way and plays an important role in municipal solid waste disposal. In the construction process of incineration facilities, municipal solid waste mainly depends on landfill. After burning, the residue generated by garbage still needs to be treated. The construction of household waste treatment project starts late without advanced technology. The MSW incineration power generation is regarded as the main way to treat garbage, and it speeds up the pace of construction of facilities and expands the scale of incineration in order to match the daily processing size and total amount of garbage. It changes the passive situation of waste treatment, and makes the municipal solid waste disposal get into the normal operation of tract. Generally speaking, the ability of daily processing size in the urban garbage disposal plant should be equal or more than daily total amount of garbage to make the waste disposal business in an ideal state. The incineration of garbage for power generation can save a large mount of land resources, while one the contrary, sanitary landfill wastes a lot of land resources. Compared with sanitary landfill, garbage incineration can save one-third of processing fee, which is one of the most effective methods to reduce processing funds and relieve the governmental stress of financing. 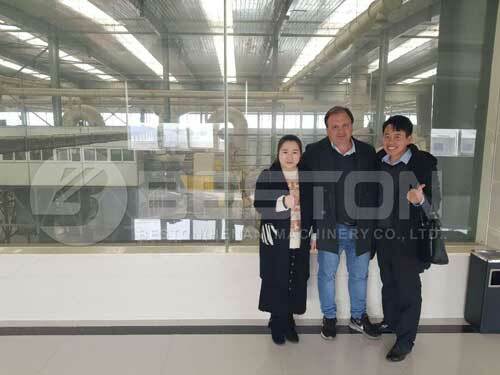 Because of the effective control of dioxin, in recent years, the proportion of waste incineration treatment has also risen in the United States, which has solved the problem of garbage disposal and achieved good economic benefits. 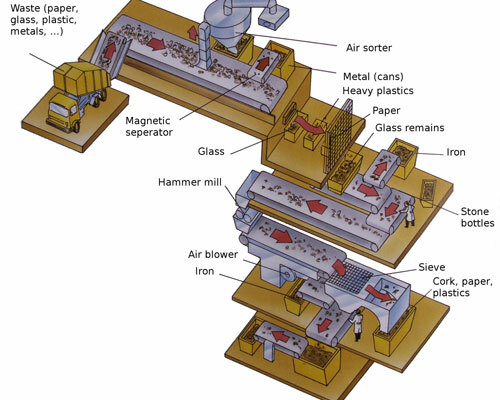 Each kind of waste materials can be further processed into useful resource by related machine. The whole project can be also called waste to energy project. It can truly realize turning waste to treasure, which is the best method for dealing with MSW.